Put on your lipstick, we’re going out! 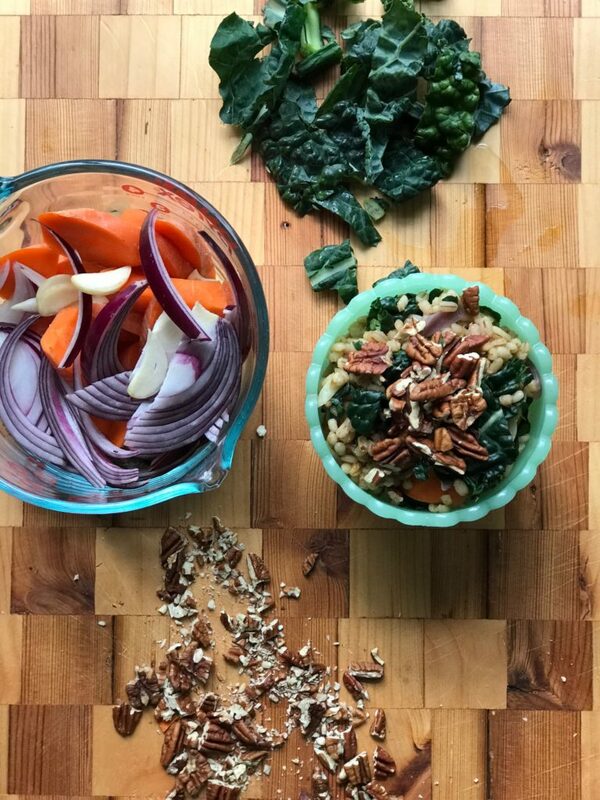 On the heels of our successful talk yesterday at the University of Virginia’s School of Medicine, we are taking one of the concepts discussed (batch cooking grains) and taking the idea further! Here we’ll offer you 3 different recipe concepts for grains, each with their own unique flavor profiles. First, we’ll be cooking up a batch of brown rice. Find the tutorial on cooking grains perfectly here. Follow our video to see how we whip these up easily, and don’t forget to follow us on Facebook and Instagram for more recipes and videos just like these! A side dish (or light dinner) done in 30 minutes or less? Yes, way. Use your rice cooker, pressure cooker or even a Dutch oven on the stovetop. Use our simple tips to create an easy meal, and then play around with different ingredients time and time again. 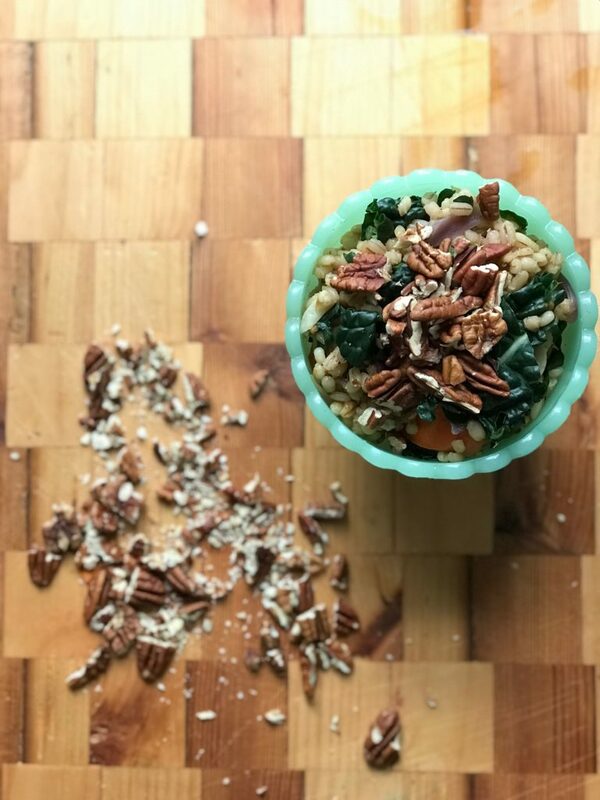 Combine quinoa (or any grain you choose) in a rice cooker or on the stove top and add stock. Bring to a boil, reduce to a simmer and cook covered until grains are done and water has been absorbed. 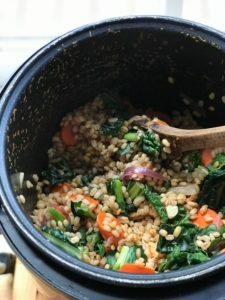 You want your grains with a bite so don’t overcook them until they become mushy. Err on the side of “less done”. While grains are cooking, prep your other ingredients. Halfway through cooking (about 10-12 minutes in), add the garlic, onion and carrot. Mix quickly to combine, replace lid and continue cooking. Once cooking is done, remove lid quickly, add the olive oil, za’atar seasoning, vinegar, honey, and salt, stir quickly to combine without losing too much heat. Place kale on top and close lid to retain heat. Allow kale to steam gently for 10 minutes. Open top, stir to combine everything, taste, adjust seasonings, and serve hot or cold! Watch our video here to see how we made it!